Pilot Whales are cetaceans belonging to the genus Globicephala. The two extant species are the long-finned pilot whale (G. melas) and the short-finned pilot whale (G. macrorhynchus). Pilot Whale Skull. Globiocephala macrorhyncus. CAS specimen. 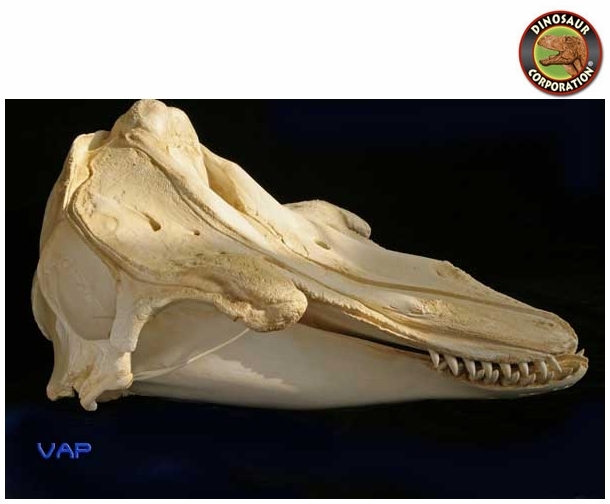 * Pilot Whale skull museum quality replica is cast in durable Polyurethane resins.